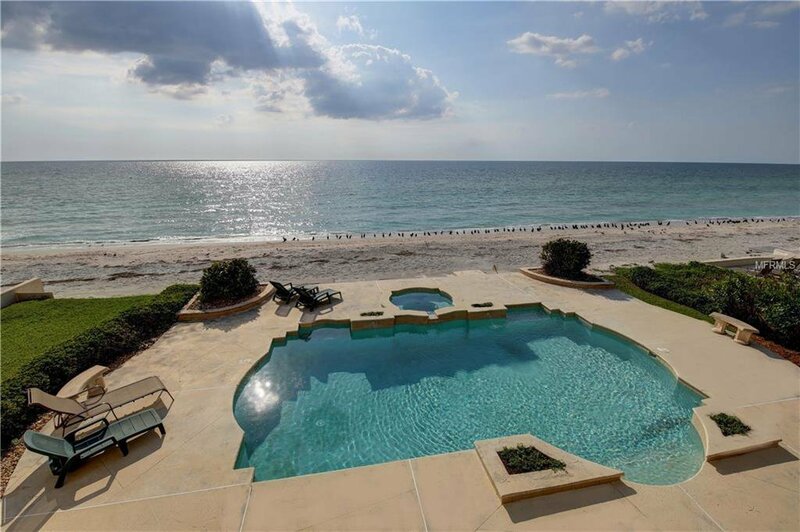 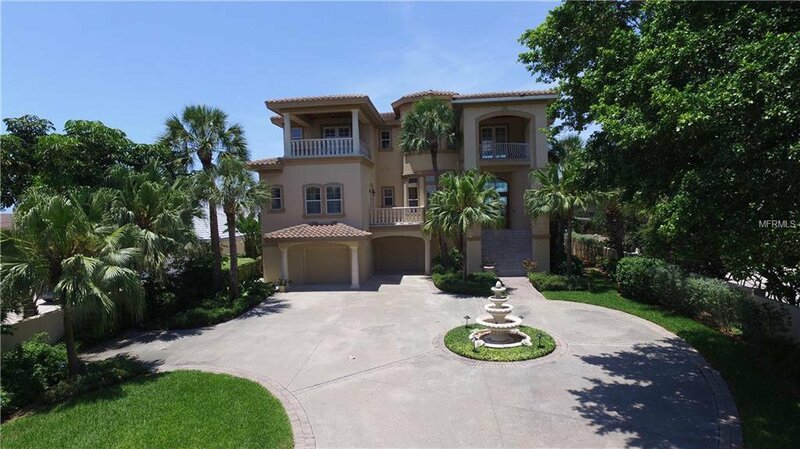 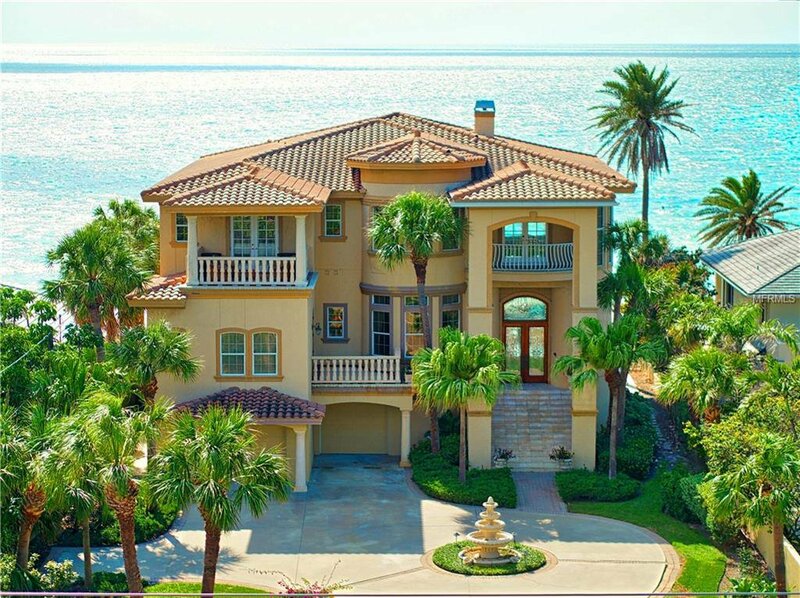 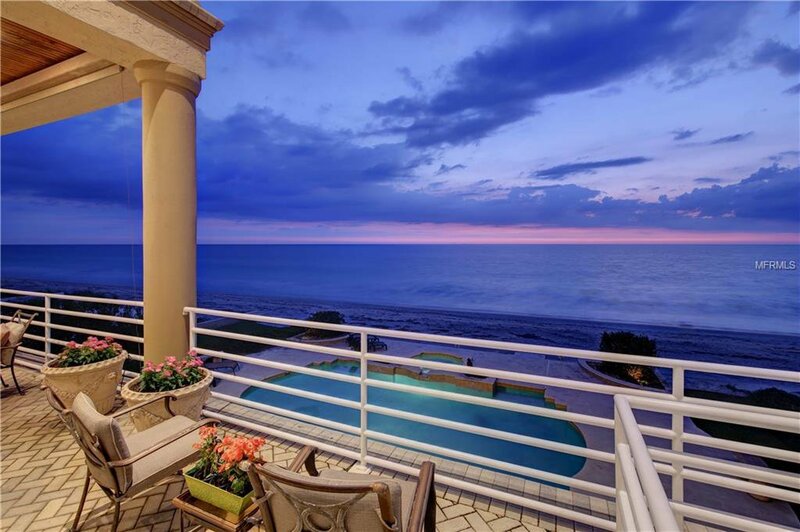 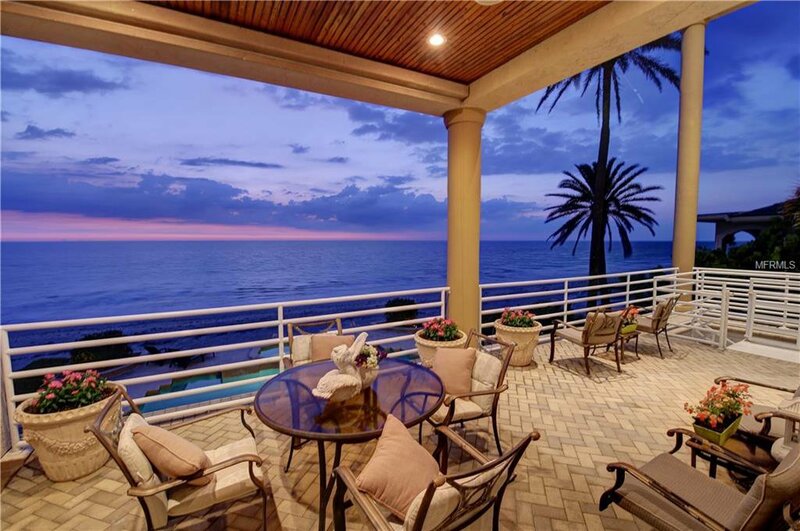 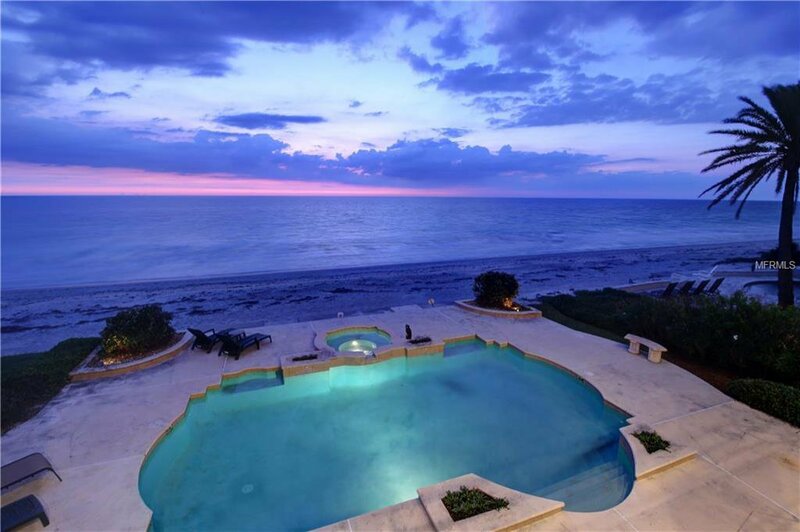 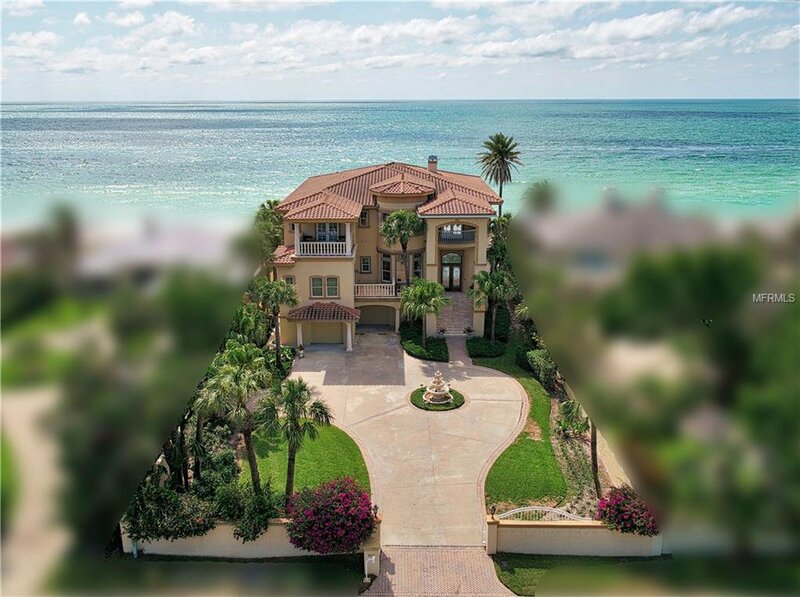 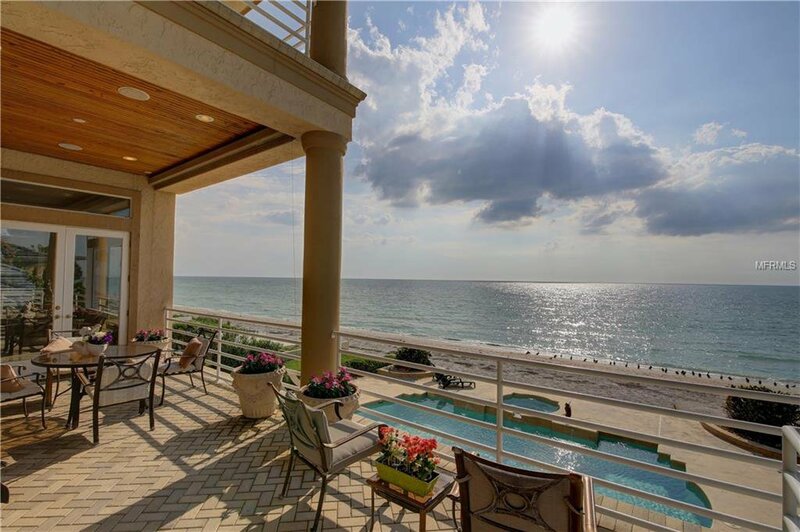 This magnificent gated Gulf front custom estate, built by Alverez, boasts a superbly designed plan combined with countless exceptional amenities. 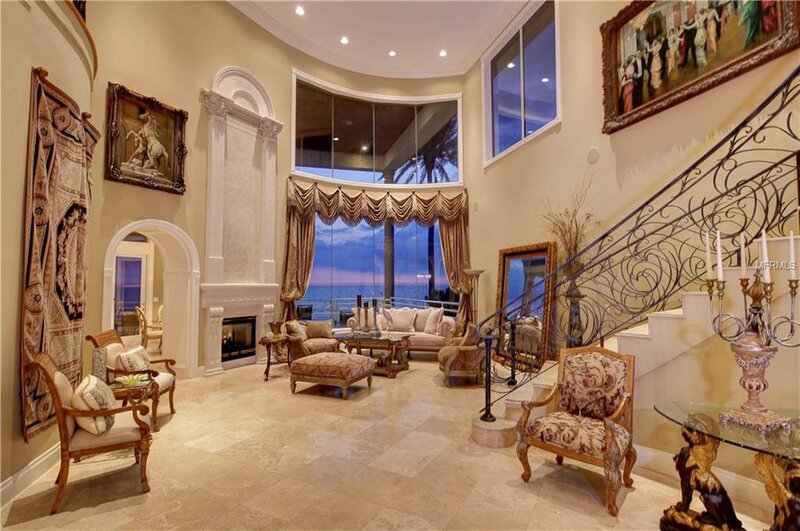 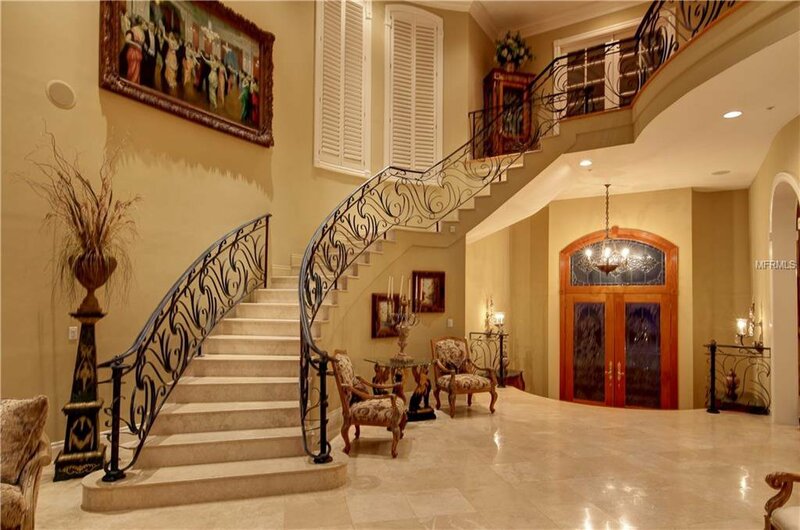 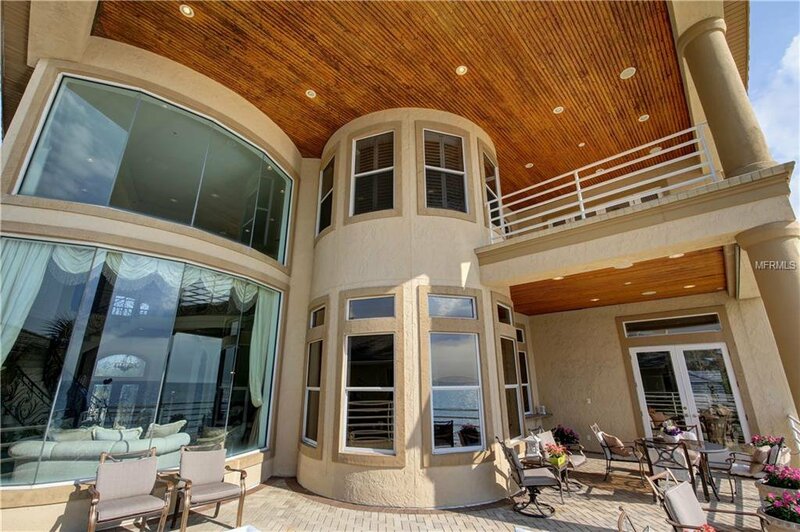 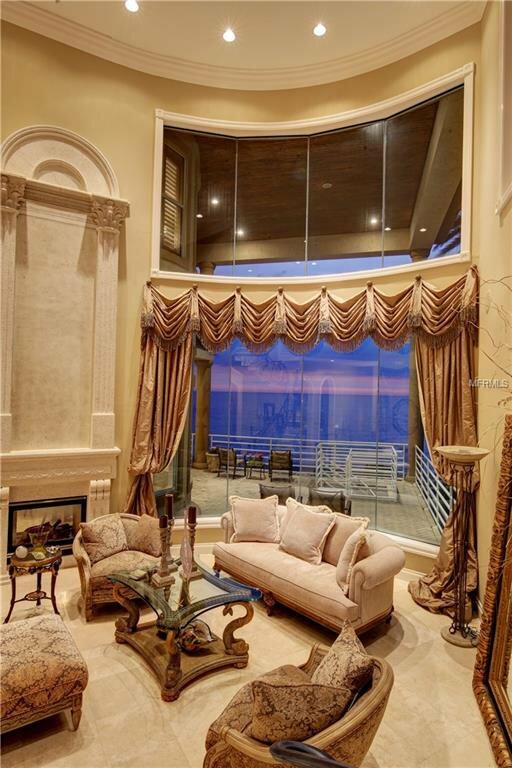 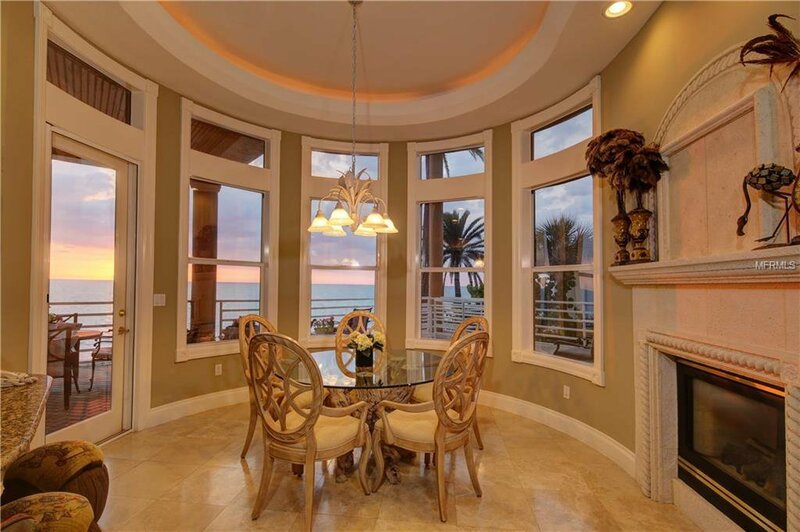 Abundant windows overlooking the Gulf and a soaring ceiling create a dramatic formal living room featuring a two way fireplace, Bahamian coral stone flooring and handsome spiral staircase. 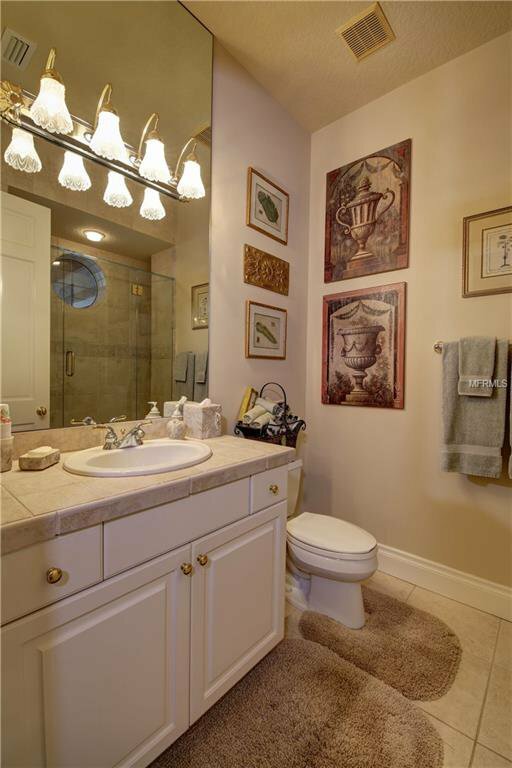 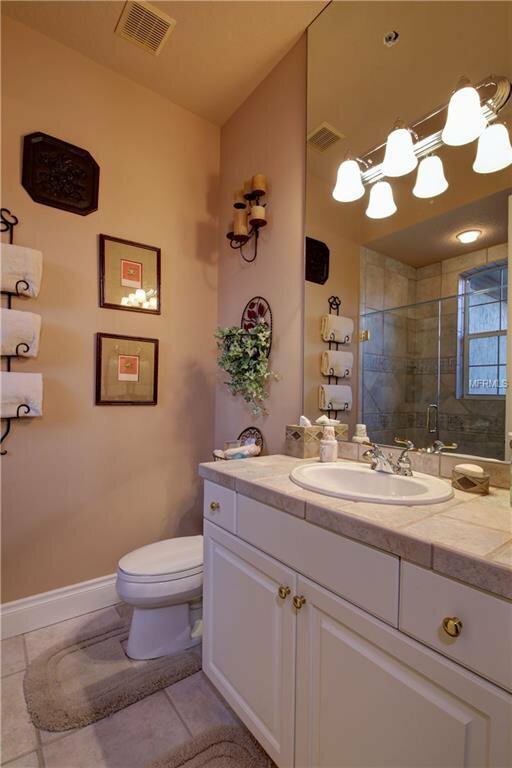 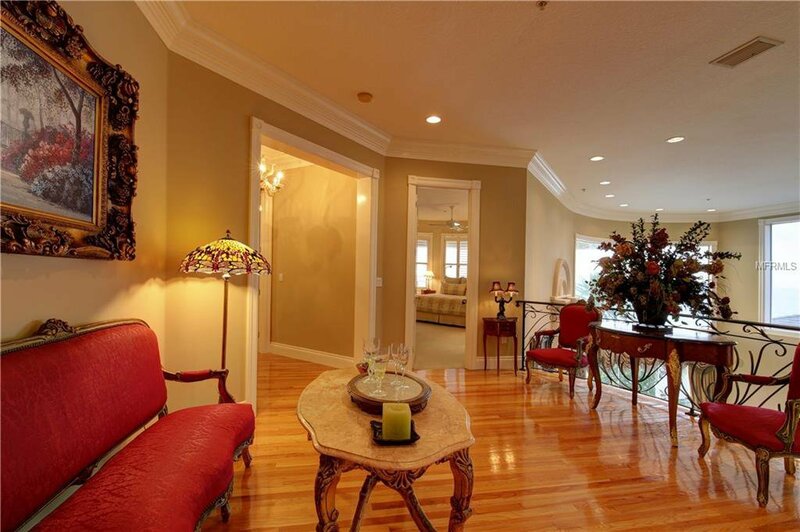 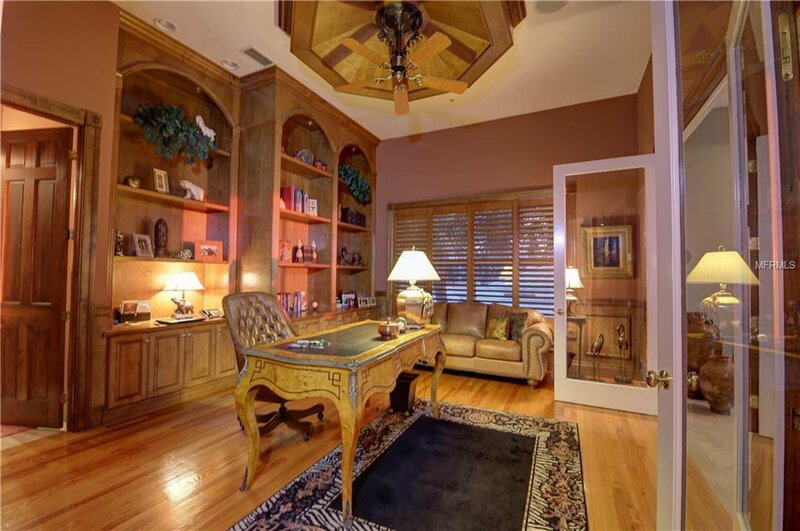 The formal dining room offers a custom painted ceiling and adjoining butler’s pantry. 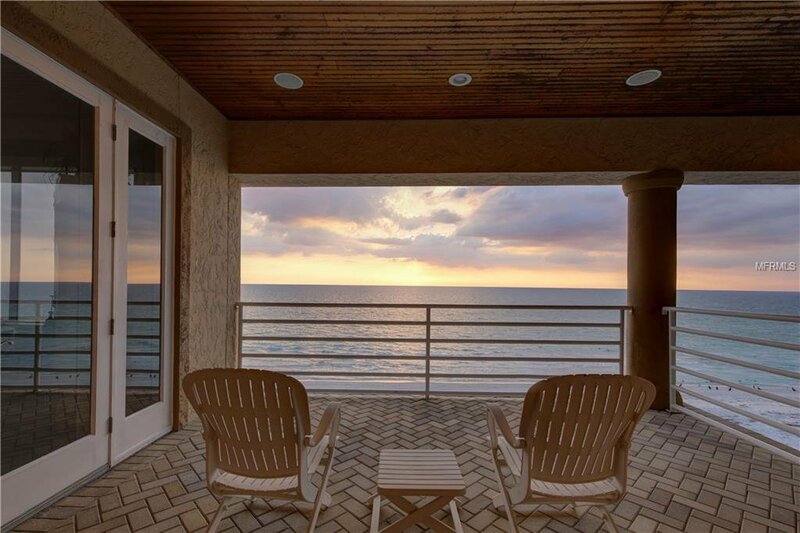 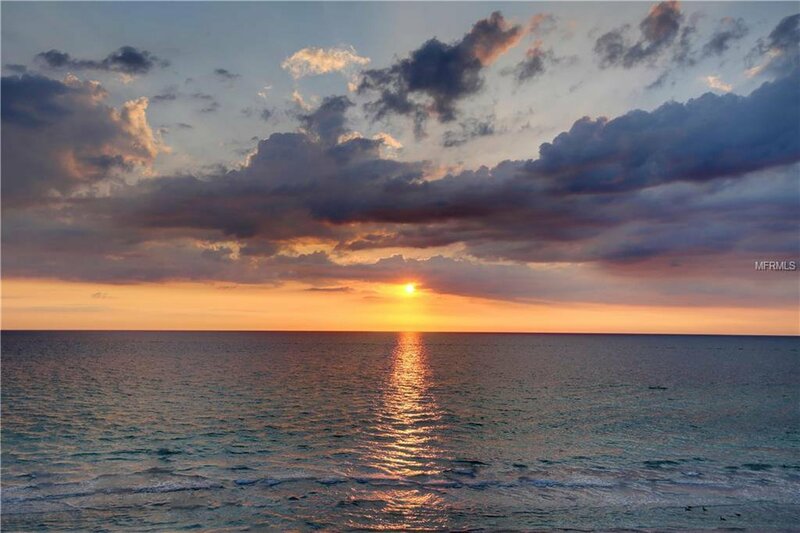 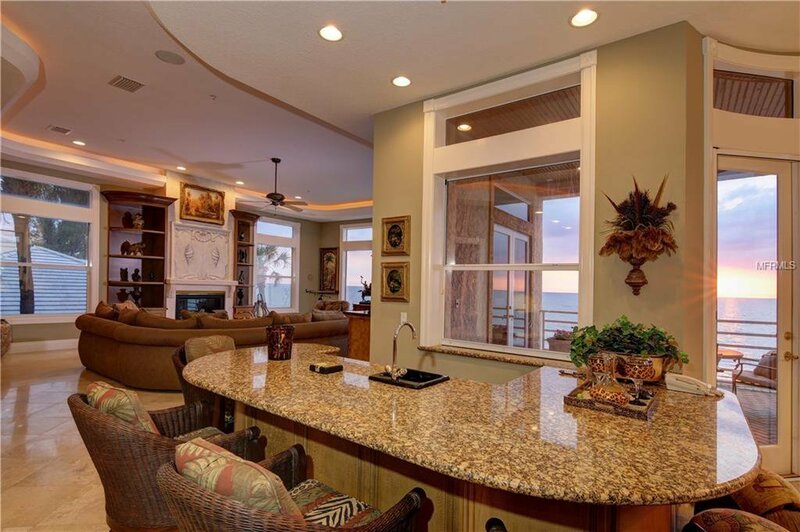 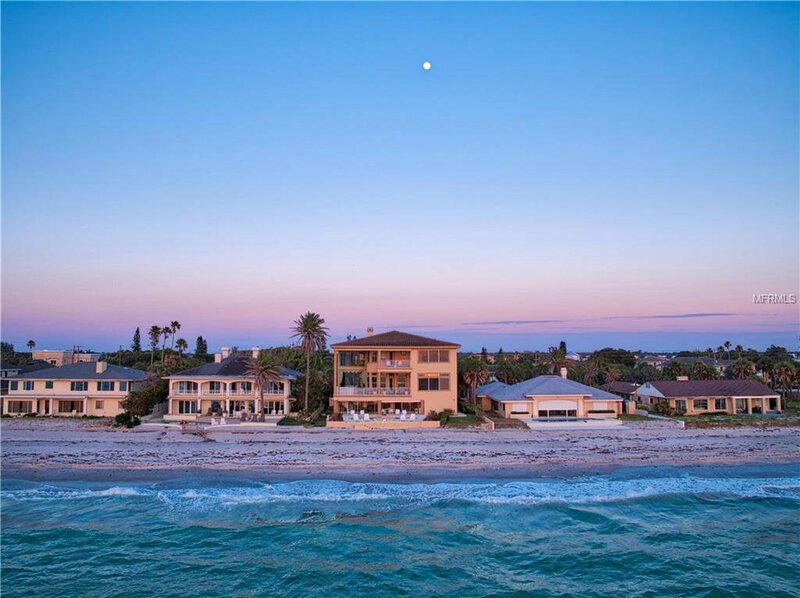 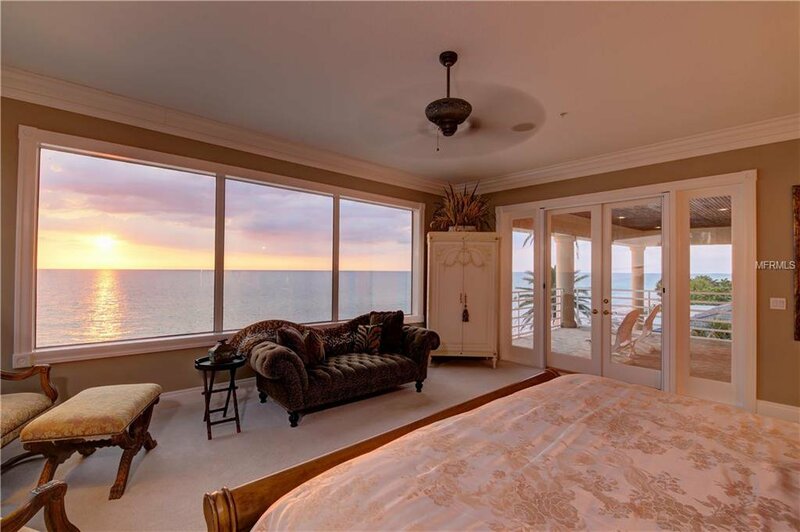 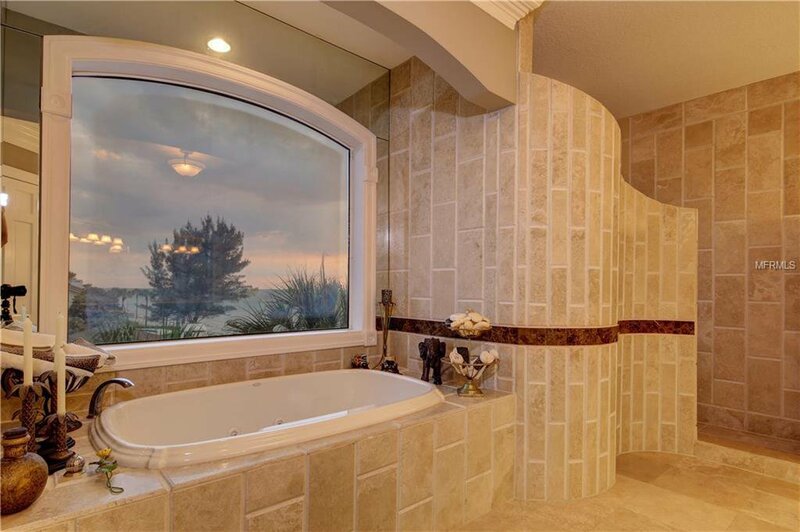 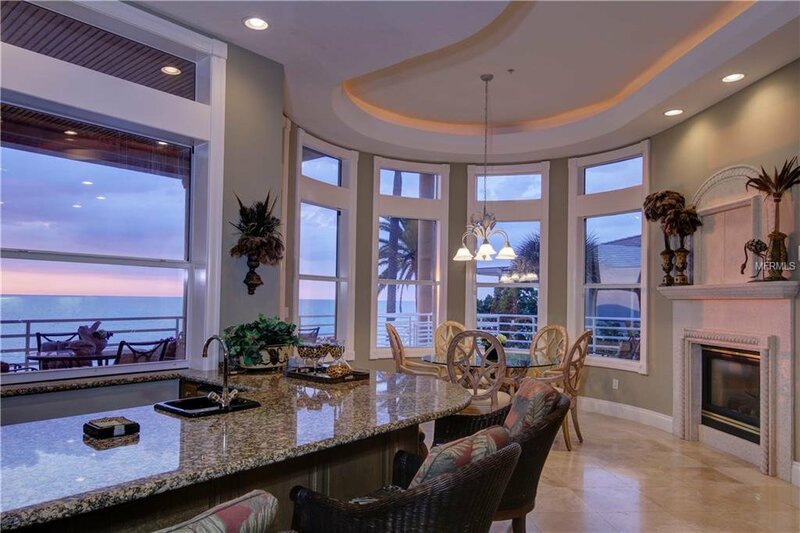 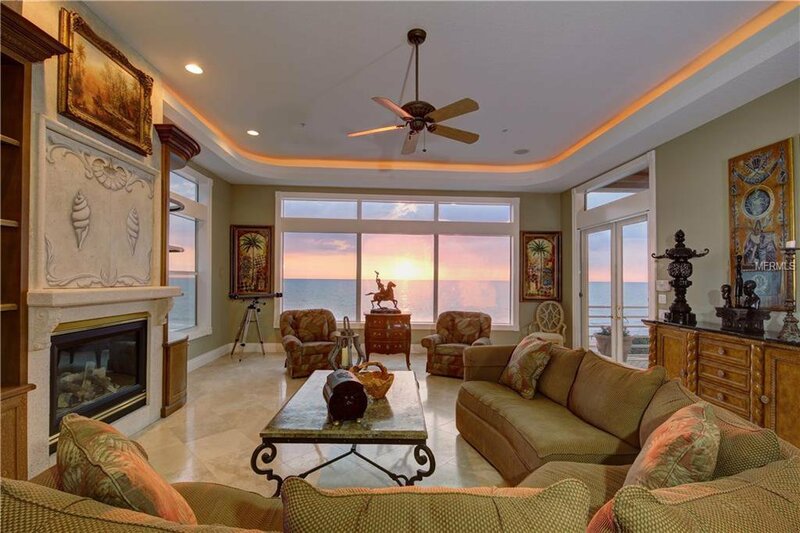 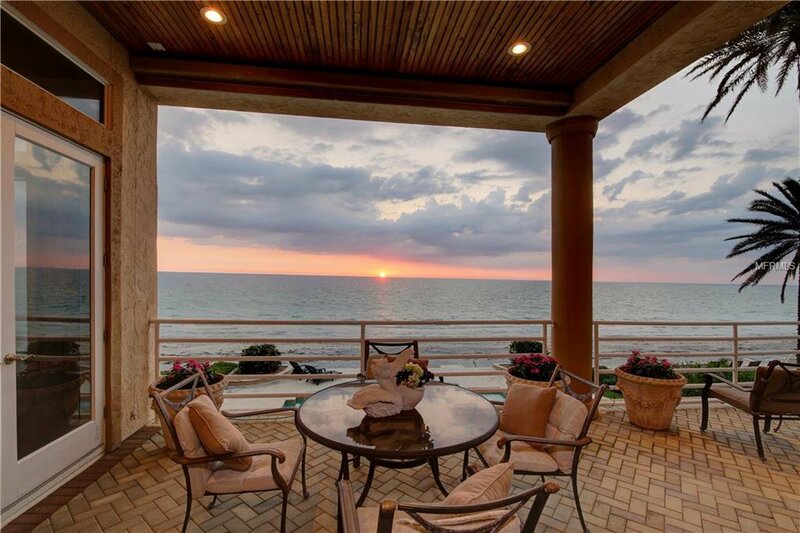 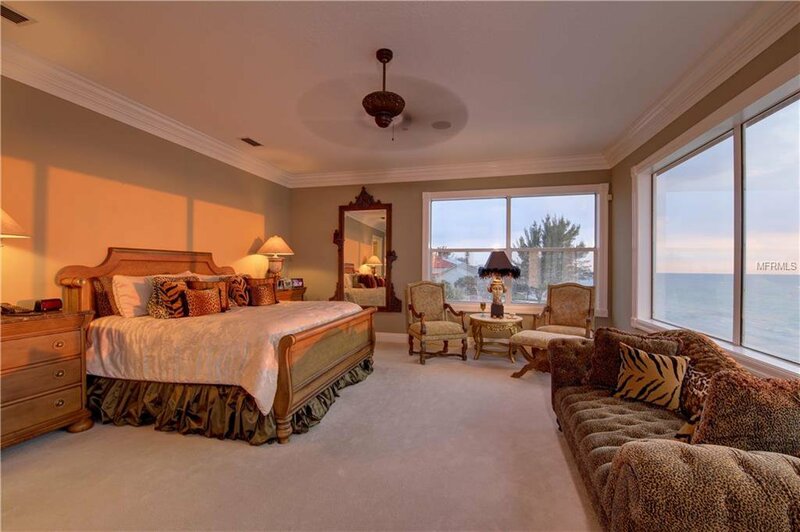 Watch the evening sunsets over the Gulf from the family room with gas fireplace, club chair seating at the wet bar or a broad covered waterfront terrace. 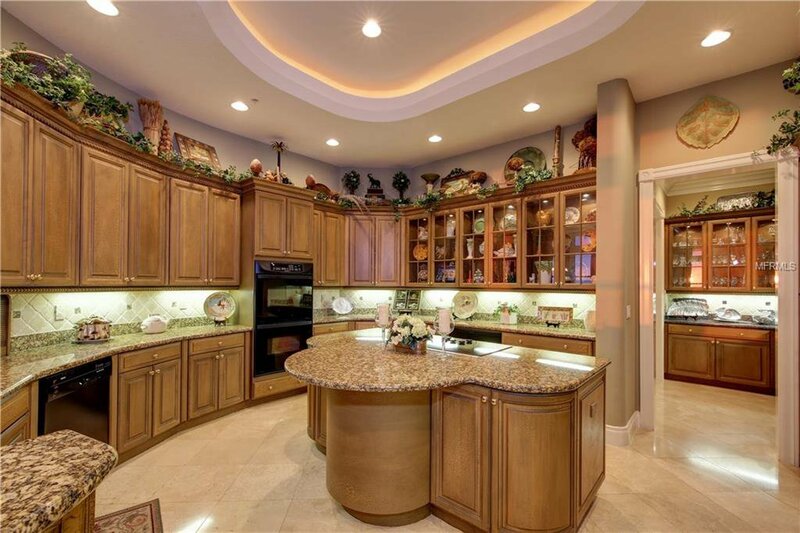 The open gourmet kitchen includes custom wood cabinets, granite counters, island cook top, breakfast bar and built-in desk. 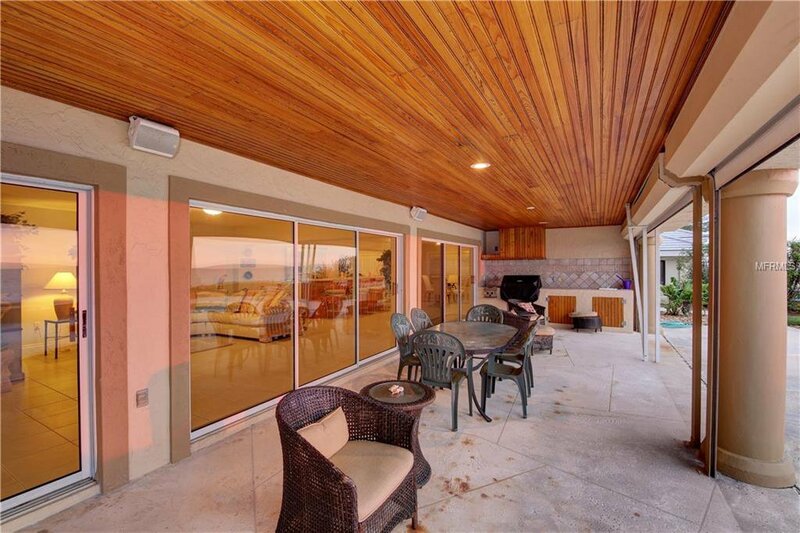 The breakfast area shares the two way fireplace. 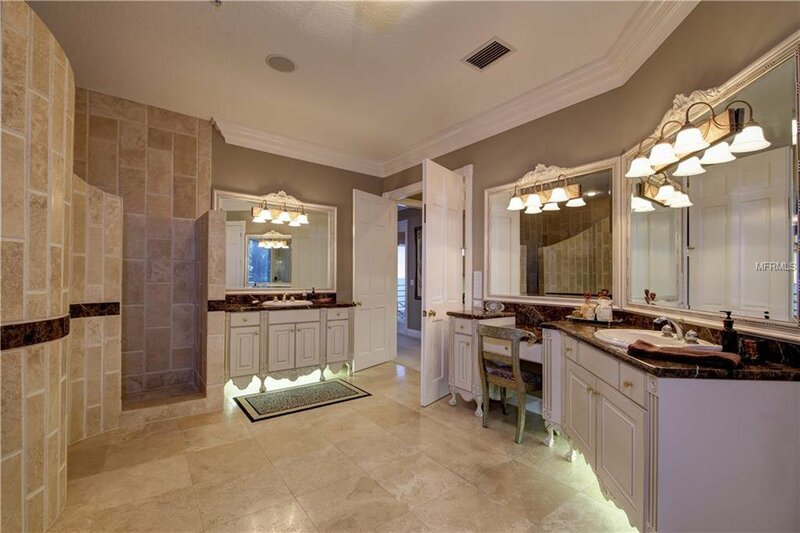 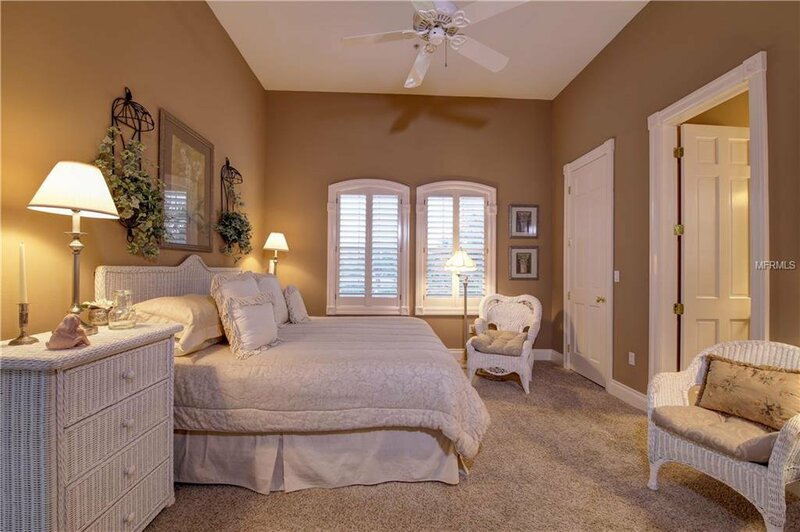 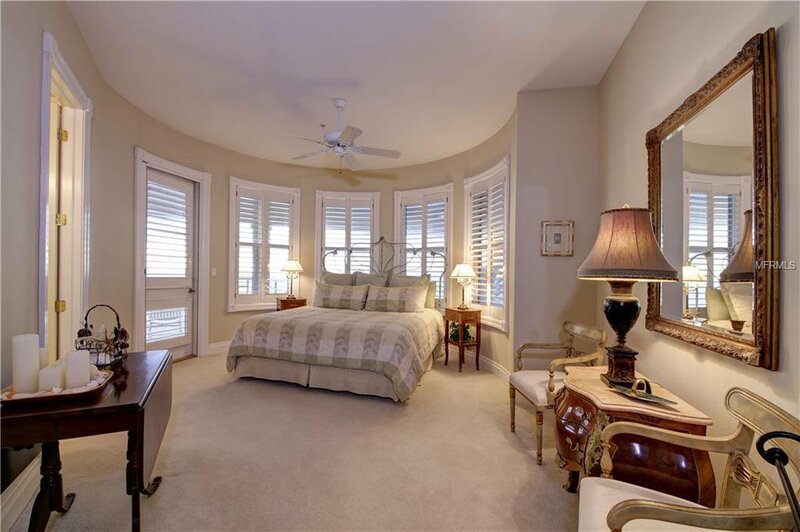 The upper level grand master suite offers a morning bar, adjoining covered terrace and a luxurious bath with an oversized walk-in custom closet. 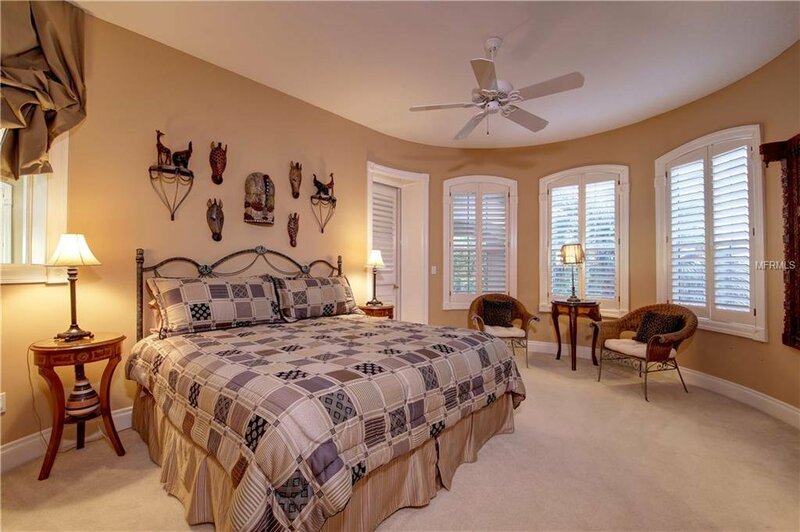 There are three other en suite bedrooms on this level with another en suite bedroom on the living level. 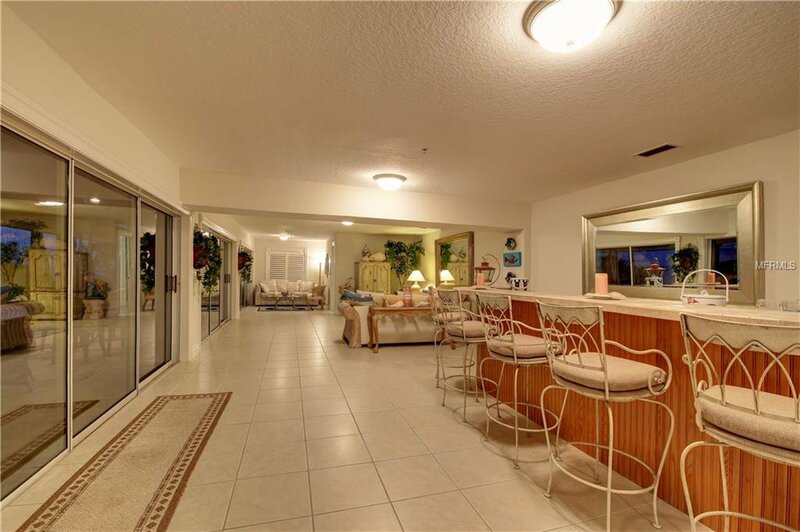 The ground level features a huge casual living room with wet bar, bathroom and sliding doors to a covered lanai and outdoor kitchen overlooking the pool and spa.